This article demonstrates how audio can be recorded and played using C and C#. Waveform Audio Functions (WAF) can be used to record and play audio files in wave (.wav) format. For more information see MSDN. To build the project, navigate to Build menu in Visual studio and click Build Solution. Click Deploy solution in the Build menu to deploy the application. Goto My Device > Program Files > vcpp_audio_record_demo. 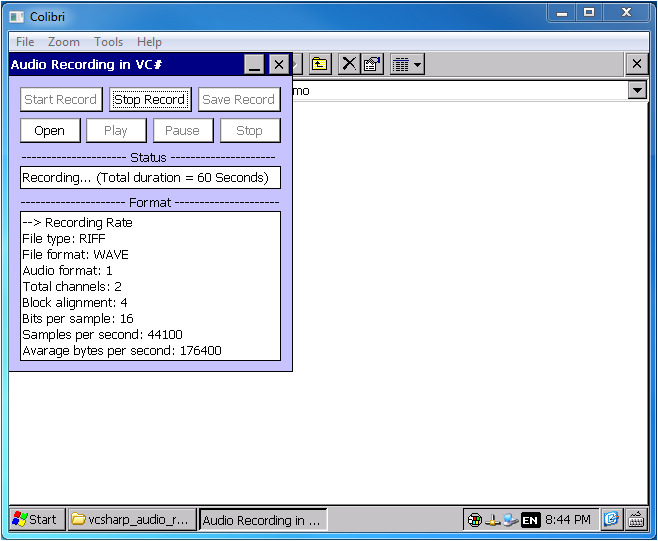 Double click on the vcpp_audio_record_demo.exe to run the application. 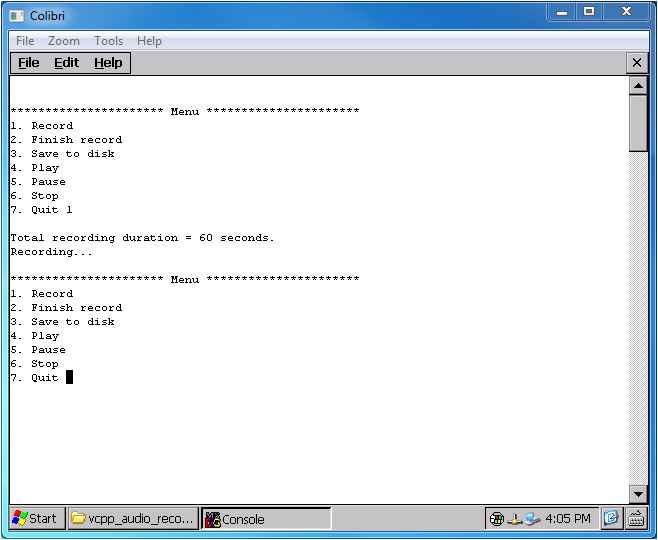 Following image shows the output window. Go to My Device > Program Files > vcsharp_audio_record_demo and run the application vcsharp_audio_record_demo.exe.